Address Mela Kothi Road, Village and P.O. Jarar, Bah, Agra, Uttar Pradesh 283104. Distance From Places About 72 km from Taj Mahal,Agra. And 13km from Bateshwar Temple. Extra Chambal River Safari is an unmatchable experience as it completely takes you by surprise. A perfect adventure experience. Sanctuary of Birding is also must see sight. Opening Hours The Chambal Safari starts at morning 9:00 am but pickup from Hotel facility is available which is at 7:00am. People Love For Place Lush Green environment and beautiful neatly maintained rooms and great food facility. Ticket Price Included in the Rooms and Accomodation that you book. Address ITC Agra- Taj Ganj, Agra, Uttar Pradesh 282001. Distance From Places Numerous Restaurants in and around Agra.ITC Hotel is about 3 km from Agra fort. Extra Must have Cuisine in Agra. It's a treat to your taste buds. One can always choose an Mughlai Restaurant based on their choice, budget and liking. Opening Hours From Morning till Night. People Love For Place The Mughlai food,it's variety,taste,and flavour,spice. Ticket Price An ITC buffet would cost around Rs.2000 per person.Local Restaurants always serve good value for money food. Address 41/142 A/1 Fatehabad Road | Behind Hotel Trident, Opposite Hotel Pushp Villa, Agra 282001, India. Distance From Places About 6 km from Agra Fort. Extra It is a fusion of Indian Culture and Social Values, Folk Music and Modern Music. The program can be enjoyed in 10 international languages including Hindi and the viewers can select any language of their choice. People Love For Place Vibrant Dances in colorful cultural costumes and loud music will bind to guest stick and dance on their seats. Ticket Price "MAHARAJA -INR 8000/- PLATINUM -INR 1800/- GOLD -INR 1500/- SILVER -INR 1200/-"
Address 18/1, Gwalior Road, Opp BSNL office, Shahzadi Mandi,, Agra, Uttar Pradesh 282001. Distance From Places About 4 km from Taj Mahal,Agra. 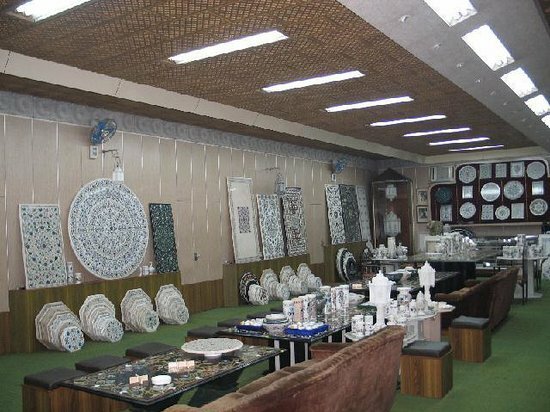 Extra Long-running store showcasing inlaid marble boxes, lamps, table tops & other handcrafted objects. Though on the costlier side it sells extremely High Quality artifacts. Try our luck at Bargaining for the items. Opening Hours From Morning 9:00 am to Evening 7:00 pm. People Love For Place The ancient Artifacts from Mughal times, around 300 years ago. Ticket Price Depends on the Items that you buy.But slightly on the costlier side. Extra A mesmerising love story of Emperor Shaha Jahan And Mumtaaz is woven into Dance-Drama. Seating arrangements have options like Maharaja/Platinum/Gold/Sliver Class. Opening Hours First show at 6:45pm followed by another show right after. People Love For Place A heart warming story and performances. The show though in Hindi has English audio translators for Foreign tourists. Distance From Places About 6 km from Agra Fort and just 1 km from Kalakirti Theathre. 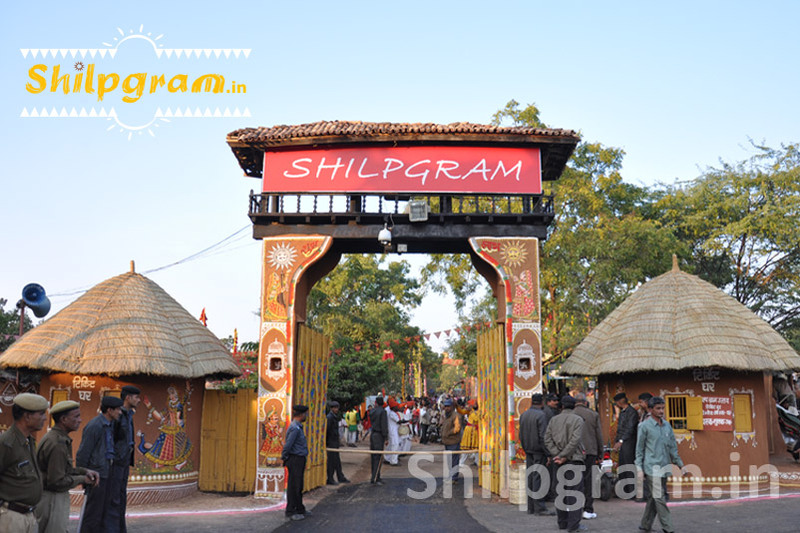 Extra Shilpgram features an art bazaar that brings local artisans and craftsmen with their creations to the forefront and allows visitors to admire their work. It is the best place to shop Ethnic jewellery,Footwear,clothings and handicrafts. People Love For Place It is an open air space made and has a small village look.Must visit place during Taj Utsav. Ticket Price Minimum Entry Fee chargeable. Ranges from Rs 5 to Rs.10 based on the mode of transport.